1/35 CONVERSION KIT for Pz.Kpfw. I Ausf b. The first German tank, the Pz.Kpfw. I, only had room for a radio receiver. 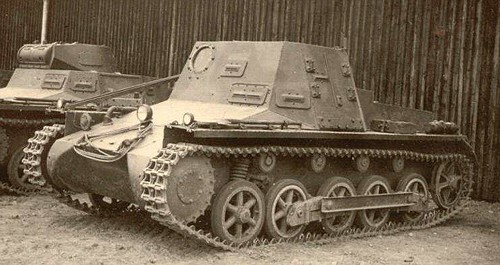 The command version of the Pz.I, accommodating a transmitter and its operator, received the designation Kleine Panzebefehlswagen, or kl.Pz.Bf.Wg I ( Sd.Kfz.265 ). An additional FuG-2 ultra-short wave receiver and 20 watt FuG-6 transceiver were installed. The radios had a range of 6 miles for voice and 8 miles for Morse code. 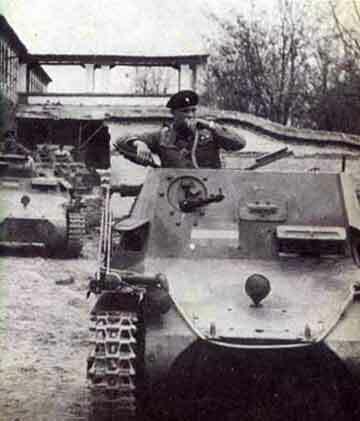 The very first version utilized Pz.Kpfw.I Ausf.A chassis, but then Ausf.B was used for mass production. This kit represents the rare early version of the kl.Pz.Bf.Wg.I. 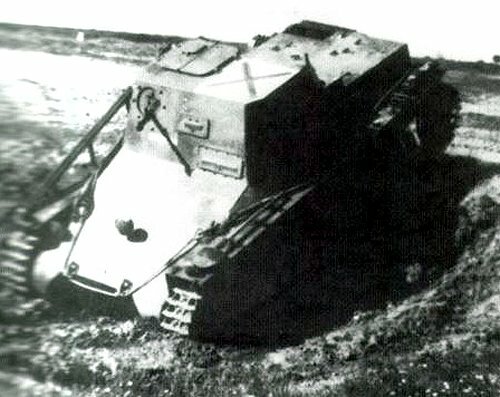 Ausf.B, which saw action during Spanish Civil War. It differs from the later mass-produced version of the kl.Pz.Bf.Wg.I. Ausf.B - the MG turret has no ball mount, and the upper hatch is flat, while the later common type has a commander's tower.